Re: source for bow pulpits? Curiously, quite a few did not. I think that was the original design. For the record,my Stiletto 27 and my F-24 have no railing. Obviously jacklines would do it, but yeah, pulpits are nice to have. However, with a little common sense, I don't think it is actually a safety item. There is really no reason to be in that spot underway. As a counter point, the absence of a high lifeline makes getting on and off when docking much easier. I installed bow gates so that my kid could help with line handling. The front cross wire gets in the way when rigging anchor bridles. The more I think about it, I'm not sure I would add it. Consider whether it is actually in the way. I can't help you for who made PDQ pulpits, but when my Hunter 35 was trashed in a hurricane in 2006, a firm called Tops-in-Quality did a good job fabricating replacement pushpits and stanchions. I think they go by Whitewater marine marine now. 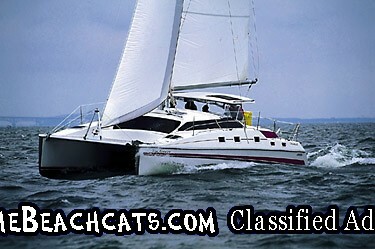 http://www.whitewatermarineinc.com/pulpits.html. If you send them measurements and maybe some photos they can probably fabricate some new pulpits for you. Don't know about the price though.